Did someone say Penthouse? 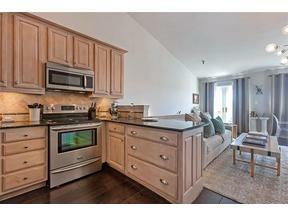 A beautiful and meticulously maintained 2bd/1.5ba condo in the Federal Fibre Mills. This top floor unit opens directly onto the terrace for outdoor enjoyment. Vaulted ceilings, granite countertops, stainless steel appliances, beautiful new light fixtures, hot water heater, & electrical panel. Condo fees includes 1 secure parking spot, basic cable, wi-fi, water, fitness center, party room, Concierge service, 40' heated saline pool/spa, Energy efficient AC central chiller system.